If planning your garden is overwhelming for you, I have good news. 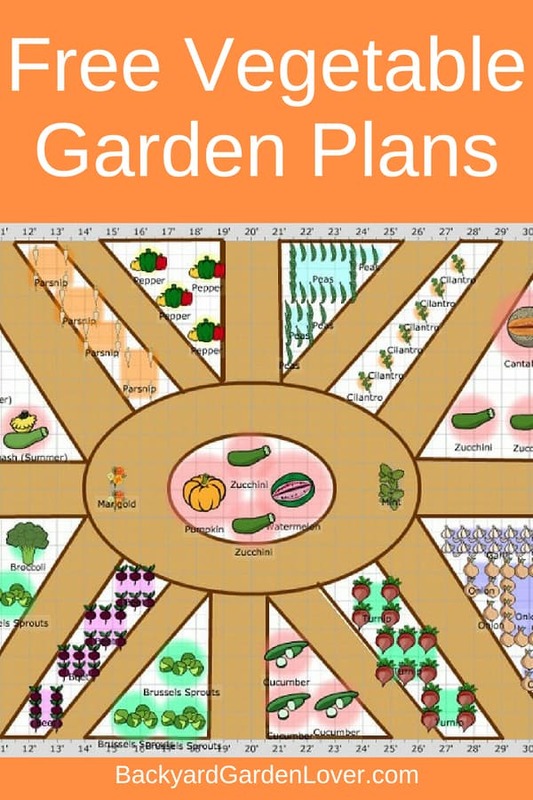 Here are 7 free vegetable garden plans to give you some ideas of how you can make the most of your growing space and inspire you to plan and plant your own vegetable garden. 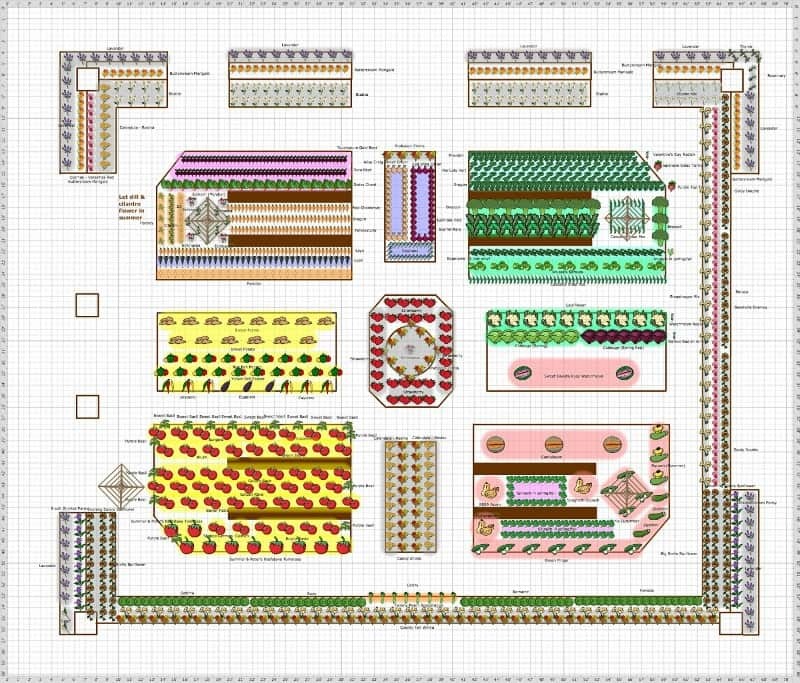 These plans have been designed using the GrowVeg.com software, and range from small border gardens to ornate complicated plans. 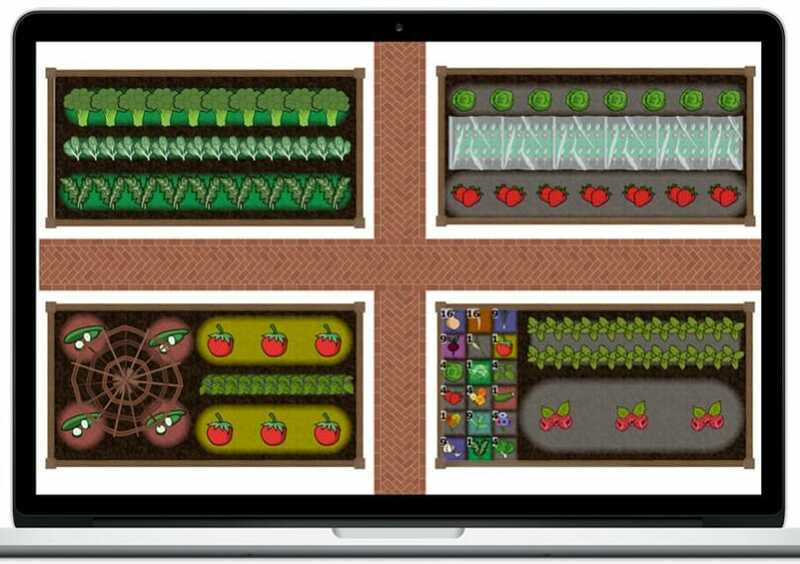 Take a closer look at the free vegetable garden plans included here to get inspired. If you like these plans and they inspire you to design your own, they have a free seven-day trial. This is a beautiful garden plan using narrow beds with plenty of path access. Designed to be a good looking garden and making the most of bed grouping, crop rotations won’t be easy in this garden. Again in this plan, looks are given a priority, although there is a distinct grouping of crop types. At the back of the borders, they make full use of flowers and herbs that can help to control pests as well as disguise the smells of vegetables to the insects that hunt them. 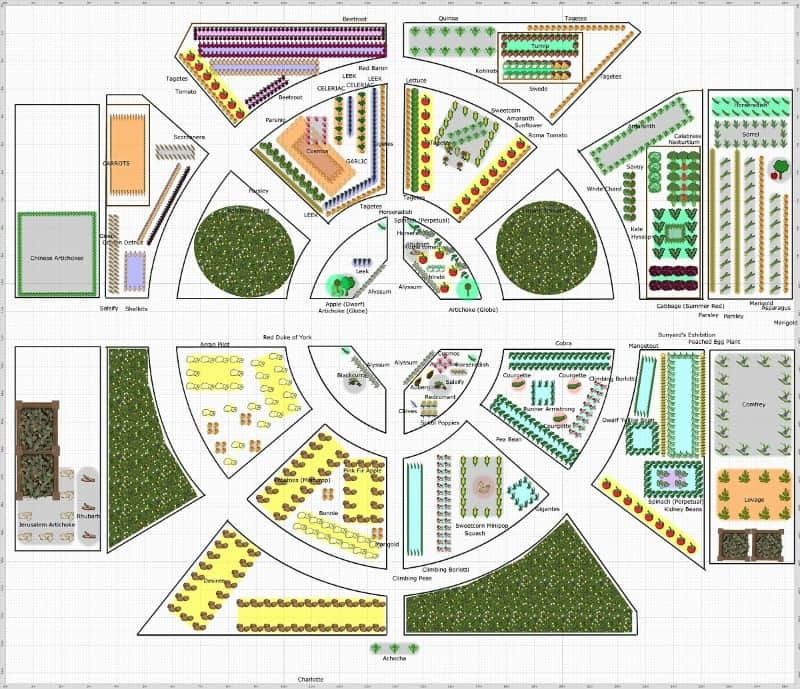 This is a free vegetable garden plan for a poly-tunnel that makes full use of a three-group system. It is easy to see that moving each group each year in either a clockwise or counterclockwise direction would successfully rotate the crops. In this plan there has been an attempt to group some crops, although I would have grown the lettuces, spinach and chards together to keep the green leafy vegetables in one bed. Related: how to grow perpetual spinach. This would give four distinct groups to rotate: the brassicas, the leafy greens, the peppers, and the root crops. 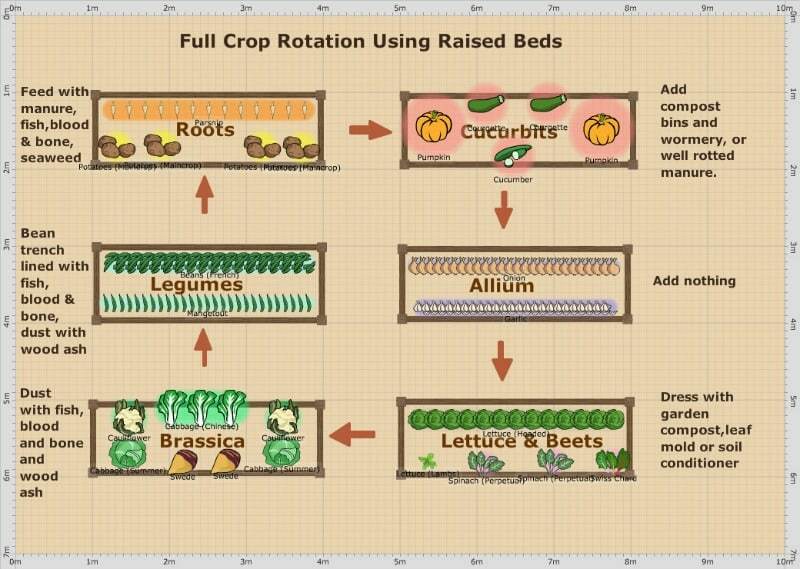 This plan uses a distinct crop rotation and makes use of herb and flower borders to help with pest control. It groups plants into five crops, although the allium group is a little small and may pose a problem when they rotate to a larger bed, although it would be easy to pair them with salad greens to bolster the size growing group. Although this plan looks as though it follows no set pattern, there is a definite rotation plan with three beds moving around clockwise among some more permanent beds. There has also been room left for compost bins and comfrey to use as a fertilizer. 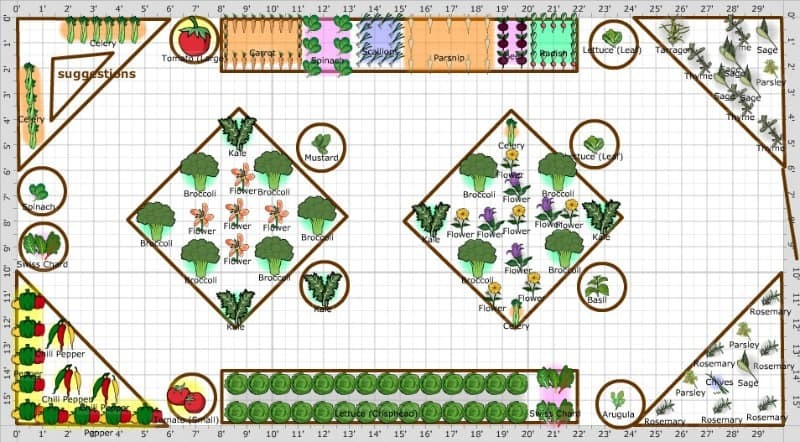 Designed for a raised bed garden, this plan works just as well with level beds or with borders. It includes a six group rotation plan, rotating counterclockwise. This way, each group complements the following group. The added soil preparation instructions that can be easily followed are very handy too. 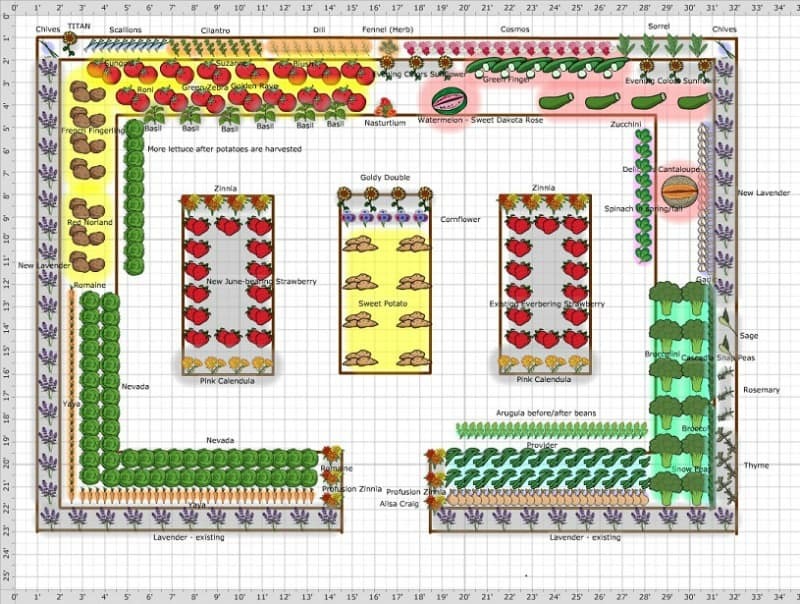 If you would like to have a go at designing your own free vegetable garden plans like these, sign up for a free trial of the GrowVeg software.